Our Contact Room is the central marketplace for artists, agents, managers, and arts related third party organizations to communicate and do business with our visiting presenters. All of our Showcasing Artists will have a representative present. The Contact Room is an ideal way to discover who is interested in visiting your community beyond showcasing artists. Exhibitors are provided with a table and appropriate linens for the table. 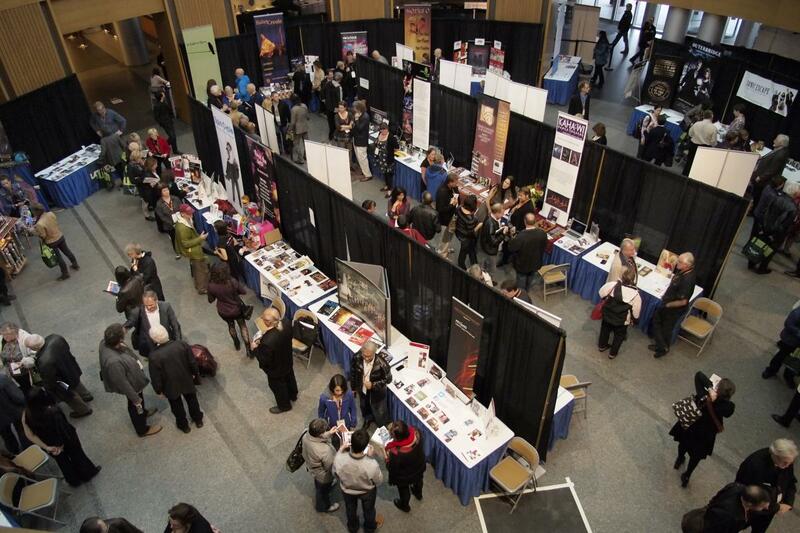 Exhibitors may purchase additional table space. Electricity is additional. Pipes and drapes for a backdrop are provided when appropriate to the room. We value the investment made by our Exhibitors so the Contact Room will be open for two hours daily regardless of any earlier delays in the schedule. For further details please visit FAQ section or contact Cheryl.